Brussels, 30 March 2017 – CVC Capital Partners (“CVC”), one of the world’s leading private equity and investment advisory firms, announced today that CVC Capital Partners Fund VI has completed the acquisition of Corialis (Core Innovative Aluminium Integrated Solutions), a leading European manufacturer of aluminium profiles and systems, supplying door, window and conservatory manufacturers in both the new construction and refurbishment markets, from Advent International, one of the largest and most experienced global private equity investors. The transaction values Corialis at approximately €1 billion Enterprise Value. Founded in 1984, Advent International is one of the largest and most experienced global private equity investors. The firm has invested in more than 320 private equity transactions in 40 countries and, as of December 31, 2016, it had €39 billion in assets under management. With offices on four continents, Advent has established a globally integrated team of over 190 investment professionals across North America, Europe, Latin America and Asia. The firm focuses on investments in five core sectors, including business and financial services; healthcare; industrial; retail, consumer and leisure; and technology, media and telecom. After more than 30 years dedicated to international investing, Advent remains committed to partnering with management teams to deliver sustained revenue and earnings growth for its portfolio companies. CVC Capital Partners is a leading private equity and investment advisory firm. Founded in 1981, CVC today has a network of 23 offices and approximately 400 employees throughout Europe, Asia and the U.S. To date, CVC has secured commitments of more than US$88 billion from some of the world’s leading institutional investors across its European and Asian private equity, strategic opportunities and growth funds. In total, CVC currently manages over US$50 billion of assets. Today, funds managed or advised by CVC are invested in 52 companies worldwide, employing c.250,000 people in numerous countries. Together, these companies have combined annual sales of over US$80 billion. 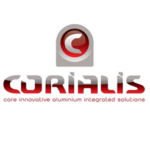 Founded in 1984 and headquartered in Belgium, Corialis is a leading European supplier of aluminium profile systems for windows, doors, sliding elements, roof systems and conservatories. The group has global reach with significant operations in Belgium, France, the UK, Poland and South Africa. As part of Corialis’ continuous emphasis on social responsibility, the Company has recently launched the “Green Metal” initiative, whereby throughout its production processes it maximises the amount of recycled aluminium used and aims to keep the lowest ecological footprint. Recycling aluminium, instead of extracting it from ore, takes just 5% of the original energy requirements and reduces greenhouse gas emissions by 95%.